RENO NEVADA! RENO HOTELS! HOTEL RESERVATIONS! CASINOS! NEVADA CASINO HOTELS! Reno Hotels, Casinos, Reno Nevada, Attractions, Casino Hotels, Vacations, City of Reno, Hotel Reservations! Tourist, Travel, Tourism Bureau! 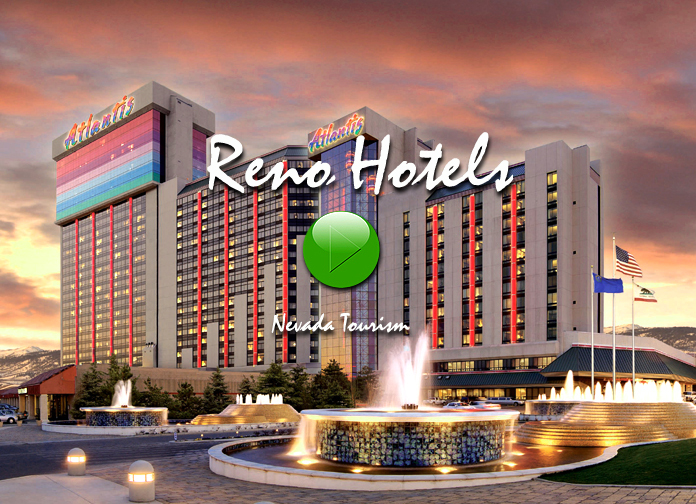 Reno Nevada Hotels, Reno Nevada Casinos, Shows, Reno Hotel Reservations, Reno Airline Tickets, Car Rentals, Weather! Reno and Lake Tahoe Territory claims both ends of the spectrum. On one hand you'll find a multitude of famous casino hotel games and a host of other man made diversions. On the other hand, you'll see some of Mother Nature's most creative alpine and high desert accomplishments. Between Lake Tahoe and Pyramid Lake flows the Truckee River and along its path are Reno and Sparks Nevada. A short distance from Reno is Lake Tahoe, a massive body of crystal clear blue water, that is one of the world's most majestic mountain lakes. The name Reno suggests casino gaming, celebrity performances, and 24 hour entertainment. High wire artists entertain nightly as do the country's top comics. Guests can watch live elephants perform and can dance into the early morning hours to the beat of their favorite rock group. A variety of activities are available around the clock, but the most spectacular events require no advance bookings. They are the sunrises and sunsets which are exhibited daily against the backdrop of the majestic Sierra Nevada mountains. The colors of the mountains and the sky are beyond description. They leave the viewer breathless with wonder, and with a feeling of exhilaration at the same time. Even the most ardent devotee of western films shot on location, is amazed at the first sight of the "real thing." The camera lens has not been able to capture the essence of the profound beauty of these masterpieces of nature. Exploring the Reno area takes patience of a kind that, once practiced, can yield tremendous benefits to the traveler. Much of our 21st century family travel involves attendance at mega attractions where the only thing standing between the visitor and a total assault on the senses via Imax, theme rides, and action figures is an hour or two of waiting in line for admission. The Reno experience is entirely different! It begins with the approach to the city rising out of the desert. Prepare ahead of time for what will be a journey through land that was once at the bottom of an inland sea. Look around for the fertile farms, the snow capped mountain peaks, the lush valleys. Watch for the herds of wild horses and for the families of tortoises making their deliberate way. Stop at a park for a picnic and discover pines, firs, and wild strawberries. Enter into the spirit of the wild west by visiting Ponderosa Ranch in Incline Village and recalling the drama of episodes of the Bonanza TV show. The main route across Nevada, I-80, runs from Salt Lake City to Reno, skirting dozens of small towns with names like Winnemucca, Elko, and Battle Mountain. The other main route, US 50, is older and slower than I-80, but highly rated in terms of scenic beauty. It follows much the same route as did the riders of the Pony Express in the 1860s. Many of the towns along it have faded away, and some have been entirely abandoned. Yet, these pioneers made their mark, and the imagination is stirred by memories of their accomplishments. Take a day trip to Carson City, the state capitol of Nevada. There you will find the Nevada Railroad Museum. Visit the Stewart Indian Museum or take the walking tour and see all the historic buildings. There is a wide choice of restaurants and lots of shopping. US 50 comes into Carson City as Williams Street. From there it joins I-80 at Reno, and then veers off to the southwest to circle magnificent Lake Tahoe. The view of Lake Tahoe as approached from the mountain is incredible! If peaceful sight-seeing is your desire, you might want to venture out for the 72 mile drive around Lake Tahoe. Summer is the best time for this, as snow blocks some of the roads at other times of the year. On the drive, the diversity of the area is apparent. Snow capped mountain ranges (some peaks are 14.000 feet high) rise above magnificent beaches, and enclaves of multi-million dollar homes. Lake Tahoe offers a variety of winter sports such as alpine skiing and snowboarding, ice skating, cross-country skiing and dog sled rides. There is horseback riding, gambling, cruises on Lake Tahoe, and a chance to ride the cable car to the top of Squaw Valley. Virginia City, not far from Tahoe, is an unusual place, and still has some musty corners that evoke its heyday, when it was far larger and a history-making mining town. Virginia City is on the side of a mountain, and elevated, providing a great view of the desert and surrounding hills. One last main route, US-95, links Reno and Las Vegas, passing near Death Valley as well as Nevada's best known ghost town, Goldfield. If you fly to Reno, a car won't be necessary in town. Everything is within a few blocks as far as hotels and casinos go. The hotels and casinos on the outskirts of town have shuttle service every half hour at no charge. For fun for the whole family, take a trip to Circus Circus Midway Stage. Young and old alike get caught up in the excitement of the carnival style arcade at the Midway where there is a chance to win stuffed toy animals and other prizes at the more than 30 games available. Wild Island Family Adventure Park, has eight water adventures, two miniature golf courses and a variety of racetracks in its Formula K Raceway. In order to take advantage of the many outlet stores and do a little sightseeing around the area, rent a car for a day or two and explore. Reno is a beautiful city with many attractions to see and do. It extends out toward the smaller city of Sparks. Reno and Sparks are one continuous urban area, but Sparks has its own separate character. Established in 1901 as a railroad maintenance depot, residents and businesses of Victorian Square in Sparks have created a turn-of-the century atmosphere with Victorian storefronts and a gazebo highlighting an entire area of shops, casinos and restaurants for visitors who enjoy the old time appeal. The recent census reported an increase of over 23 percent in the population of Reno in the last ten years! The Biggest Little City in the World is, understandably, continuing to grow. Since Reno and Sparks get much less snow than the Lake Tahoe Basin (usually not more than a total of two feet for the whole winter season), it's not unusual to play golf in Reno or Sparks and ski in the mountains the same day. Today Reno Nevada is considered by many to be America's most complete vacation destination. The area's unique combination of indoor and outdoor attractions, hotels and casinos, draw in visitors from around the world. Reno Nevada Hotels and Casinos! Reno resort hotels, extended stay hotels, casino hotels and more! All Contents Copyright 1998 - 2019, Nevada Tourism, All Rights Reserved. Nevada Reservations: Book Online and Save! Page Contents: Reno, Reno Nevada, including reno hotels, reno Nevada hotels, city of reno, nevada, hotels, casinos, attractions, casino, hotel, hotel reservations, reservation, reservations, shows, golf, weather, travel, tourism. Reno Nevada Hotels! Reno Nevada has many hotels and casinos, including the Sands hotel, the Silver Legacy, Boomtown, the Atlantis hotel and casino, resort hotel, the Peppermill hotel, Harrah's Reno, and the Grand Sierra hotel and casino. 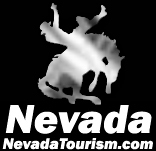 We provide travel and tourism information for the Reno Nevada area, including attractions and casino hotel reservations. Reno Casinos! Nevada Hotels and Casinos! Reno Hotels, City of Reno! Nevada, Reno Nevada Hotels!